Why should precasters choose the AIRTRAC™ system? Air in concrete, whether entrained or entrapped, can be challenging to manage and lead to undesired results such as low strengths, out-of-spec concrete, bugholes and more. It's time to invest in a new precast technology that lets precasters enjoy consistency and productivity savings at unprecedented levels. Simply put, the AIRTRAC™ system helps precasters get their mix right every time with minimal waste. 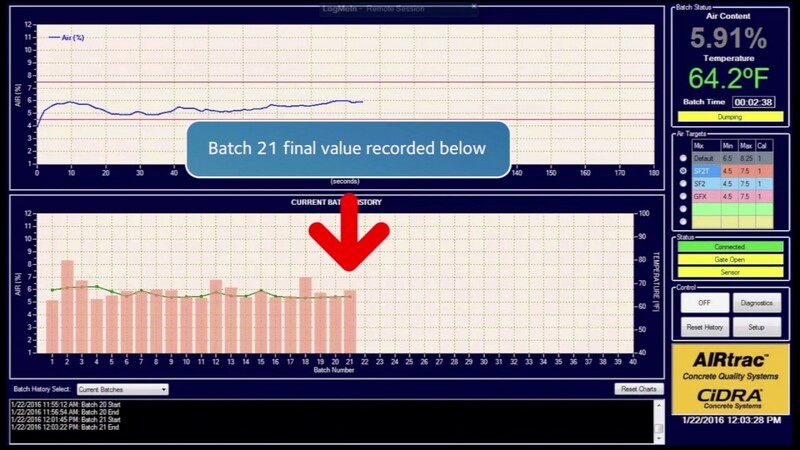 Know the air content in every batch without manual testing. Manage and optimize mixes and processes. Precasters can now have insight into every batch and the effects of dozens of factors that can change daily, if not hourly. This unprecedented granularity allows for overall process improvement and often higher throughput. Optimize your process, control costs, and minimize wasted material.